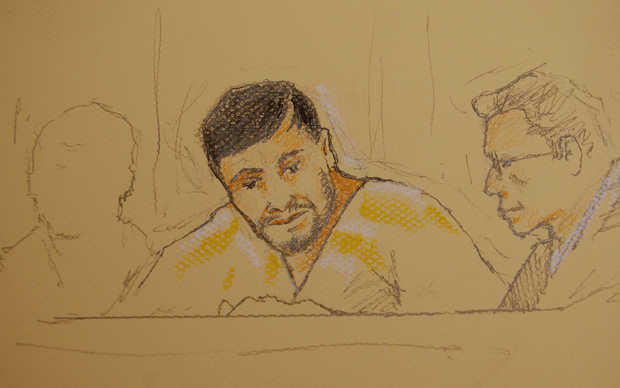 A sketch of Kurbanov at a recent hearing in federal court. Rubin told The Associated Press on Tuesday that Congress' across-the-board budget cuts known as "sequestration" have reduced his budget by 10 percent this fiscal year, and as much as an 14 percent next year. Rubin says Kurbanov would be better off getting another lawyer now, while the case is still in its initial phase. Kurbanov was arrested May 17.